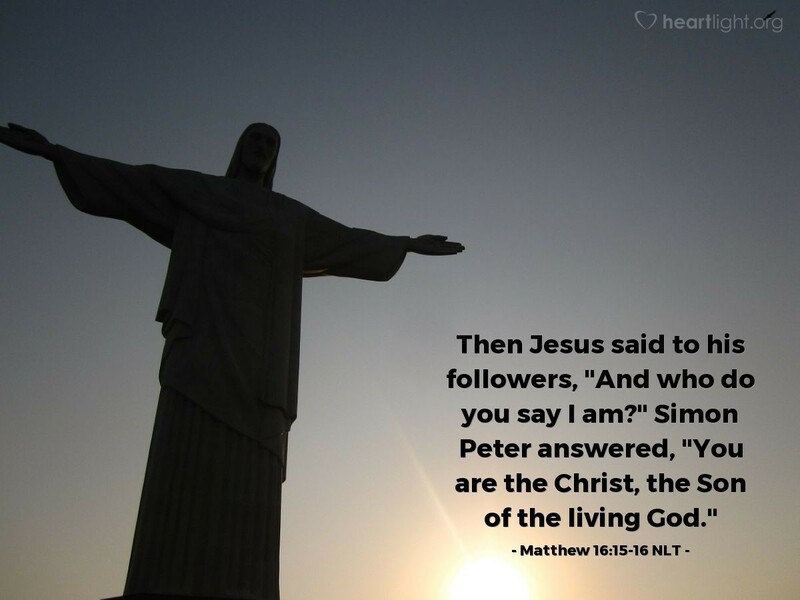 Then Jesus said to his followers, "And who do you say I am?" Simon Peter answered, "You are the Christ, the Son of the living God." Peter's answer is simple but profound. "You are God's Son, the promised Messiah. You are the one God has promised for all these years. This is what I believe!" Salvation today still hinges on fully relying on Jesus as our Savior. There is no one else on whom it can depend. The central issue in our lives then becomes whether or not we truly believe that Jesus Christ, our Lord, is the Son of God and whether or not we live our lives differently because of that faith! Almighty God, how can I ever begin to thank you for sending Jesus! Help me live with him as Lord over all of my life. In Jesus' mighty name I pray. Amen.